Saint Patrick’s Day in Sarasota and Bradenton is going to be a great time, celebrated with the traditional Irish fare. Below are some of the best parties in town, organized and ready just for you. Whether you are looking for a big Irish festival in Sarasota/Bradenton or being in an Irish pub having corned beef and cabbage, you will find something fun to do. Downtown St. Patrick’s Day Block Party Sarasota: Main Street-follow the people. Saturday the 16th at 6 PM-2 AM is when the celebrations kick off in downtown Sarasota. There will be live music, food trucks, beer tents, and a lot of happy people wearing green. There is parking a few blocks away. However, if you plan on having a pint or two take an Uber or Lyft and they will drop you off like you’re a rock star-right in front! Lucky Leprechaun 5K, March 16th. Nathan Benderson Park, 4 PM-8 PM. This is a fun run for the entire family. Kid’s Rainbow Dash starts at 4 PM and the 5 K begins at 6 PM. The after race party 6:30 PM-8 PM. The after party will have Irish music, food, drinks, and games. If you have never been to a 5K at Nathan Benderson Park, it is a nice running track and it is a timed race. The after party is fun and the food is good too! Not sure why, but a cold beer after a run is the best! Lynches Pub & Grub, St. Armands Circle, Sarasota: Saturday the 16th. The party starts at 11 AM. If you check out Lynches’s website, you can see they are anxiously waiting for Saint Patrick’s Day. Lynches is counting down to the special day. This authentic Irish pub even has floors that were imported from West Cork, Ireland. Traditional Irish food, coupled with the vibe of St. Armands Circle, sounds like a good combination for Saint Patrick’s Day in Sarasota. Downtown Bradenton Saint Patrick’s Day Block Party: 6 PM-12AM, Old Main Street, 400 12th St. West, is going Irish for St. Paddy’s Day. Enjoy live music by Have Gun Will Travel. There will be plenty of local food trucks along the street and fun. Businesses along Main Street will be open too, including pubs & restaurants, all ready to help celebrate Saint Patrick’s Day in Bradenton. This is always a good time and family-friendly free event. Downtown Sarasota St. Patrick’s Day Block Party: Come back on Sunday to celebrate Sarasota’s 12th Annual St. Patrick’s Day block party. The first pint will be poured at 9 AM (hey it’s 5 O’clock somewhere). This is a free event. The block party starts at 12:00 PM. Some of the groups taking the stage are Ship of Fools, Andy Thomas, Blue Skye Pipes & Drums and more! This is a child and pet-friendly event. Bring a chair, but leave your coolers at home. Parking is available but it may be easier to take Uber or Lyft. Gator Club, 1490 Main Street, Sarasota: Sat. March 16th 6PM-2AM and Sun. 17th 6PM-9PM. Johnny Diamond will be performing inside and Spark Notes will be entertaining the crowd outside. Great food trucks, Smokin Momma Lora’s BBQ, party favors and lots of fun! The Shamrock Pub, 2257 Ringling Blvd., Sarasota. The festivities for the 11th annual St. Patrick’s Day event begin early Sunday the 17th with a Meetup starting at 11 AM -11:55 AM. This is a great get together to raise money for the City Soccer Club. They will be pouring beer all day if you’re not a morning person. Stop by the tent in the afternoon or come from 8:30 PM-10:30 PM to listen to The Conundrum play. Clancy’s Irish Pub: 6218 Cortez Rd. West, Bradenton. 12 PM- 1 AM Clancy’s 17th **At the time of the Blog 2019, Clancy’s was contacted and did not reply with their events** Annual Irish fest will start and noon this Saint Patrick’s Day, 2018. I personally can’t think of a better way to celebrate Saint Patrick’s Day-Florida Tiki style. The music won’t stop until 1 AM. Just a few entertainment highlights will be the Celtic Irish Dancers, the Bag Pipers, the Billy Rice Band and the closing the night’s celebration will be Whiskey Blind. 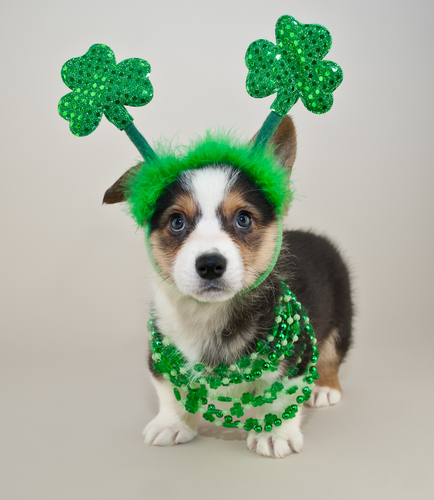 Dress up in your best Irish green costume and have a chance to win the $50 price. McCabe’s Irish Pub, 302 12th St. West, Bradenton (Downtown Bradenton). This is where I was for St. Patrick’s Day 2018 and I will be back at McCabe’s for 2019. We took an Uber and were dropped off just a few steps away from McCabe’s. There was a young lad in a kilt who greeted us with a nice cold beer before we walked inside. Once in the bar, it was a fun-filled atmosphere and lively Irish music. Great service and plenty of Guinness to go around. Beach Bistro Saint Patrick’s Parade: At the time this blog was written, information was not posted regarding the parade. I sent an email to the restaurant inquiring and received no response. However, the Beach Bistro has been doing the Saint Patrick’s Day parade for 19 years, so I doubt they will stop now. 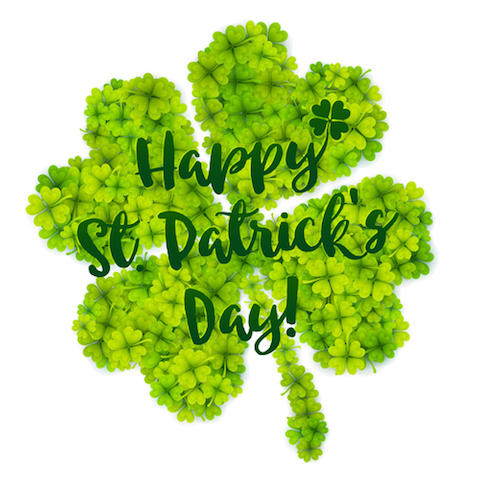 The Bistro traditionally celebrates St. Patrick’s Day on the Sunday closest to St. Patrick’s Day. Since St. Patrick’s day falls on a Sunday this year, I would hedge a good guess that is when the fun will happen. Normally, the parade route started in Holmes Beach and proceeded north along Marina Drive. You may want to check their website for any updates https://www.beachbistro.com/news-and-events. To begin your Saint Patrick’s Day celebration in Sarasota or Bradenton, I leave you with this Irish Blessing….